Tributes from across the racing world have poured in over the past 24 hours in the wake of the news that legendary hurdler Hurricane Fly has been retired. The Willie Mullins trained 11-year-old has been one of the stars of the sport over the past few years but connections have decided to call time on his glittering career. Consistency was the key for Hurricane Fly has he racked up no less than 22 Grade 1 victories during his career which was a simply staggering achievement. Time and time again, Hurricane Fly fought off the challenge of younger horses both at home in Ireland and across the sea at Cheltenham where he famously won the Champion Hurdle on two occasions. The fact that most believed Hurricane Fly was never able to produce his best at Cheltenham dogged him throughout his career but despite that he still managed to win two Champions Hurdles in 2011 and 2013. That second victory was a famous day as he climbed back to the top of the hurdling tree at the age of nine, when he was the joint oldest winner of the race since Sea Pigeon won back in 1981. It was at home in Ireland though that Hurricane Fly truly excelled as he simply blew away some excellent horses year after year. He won five Irish Champion Hurdles between 2011-2015 and four Champion Hurdles at Punchestown between 2010-2013 which is a remarkable record. His consistency at the top level is almost unrivalled in recent history with trainer Willie Mullins rightly getting the plaudits as he managed to keep the horses going without injury for season after season. 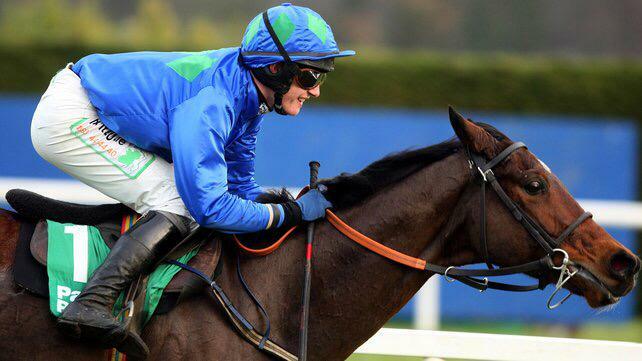 Hurricane Fly was both consistent and versatile in terms of his racing style. Opposition jockeys and trainers tried and failed to get The Fly beaten on a number of occasions but the brave hurdler nearly always seeming to find a way to win with top horses like Solwhit, Jezki, Our Conor, Rock On Ruby and Thousand Stars just a selection of the very good horses who regularly came unstuck up against Hurricane Fly. Often off the bridle, Hurricane Fly would look in trouble or hit a flat spot during many of his races but unlike most horses, he never gave in and more often than not he would find a way to win. Debate continues to rage about where Hurricane Fly fits in with the greatest hurdlers of all time. His record of 22 Grade 1 wins is simply un-matched and that alone ensures he is right in the conversation when debating the greatest of all time over the smaller obstacles. There is no doubt he is the best since Istabraq and fans of both horses will argue until their blue in the face about who would have won if those two legendary horses squared off in the prime of their careers. The fact that Hurricane Fly is in the conversation with a great horse like Istabraq is tribute to his career and there is no doubt that longevity and consistency was perhaps the greatest attribute in the amour of Hurricane Fly. His first Grade 1 victory came at Fairyhouse in November of 2008 in the Royal Bond Novice Hurdle, while his final top level victory came over six years later as he won the Irish Champion Hurdle for a fifth time against horses he was at least four years older than. That victory was a record breaking one for Hurricane Fly as he became the joint oldest winner ever of the Irish Champion Hurdle which is a record we shouldn't ignore with 2m hurdling more often than not, the domain of the younger horses. Unless your name is Hurricane Fly that is.